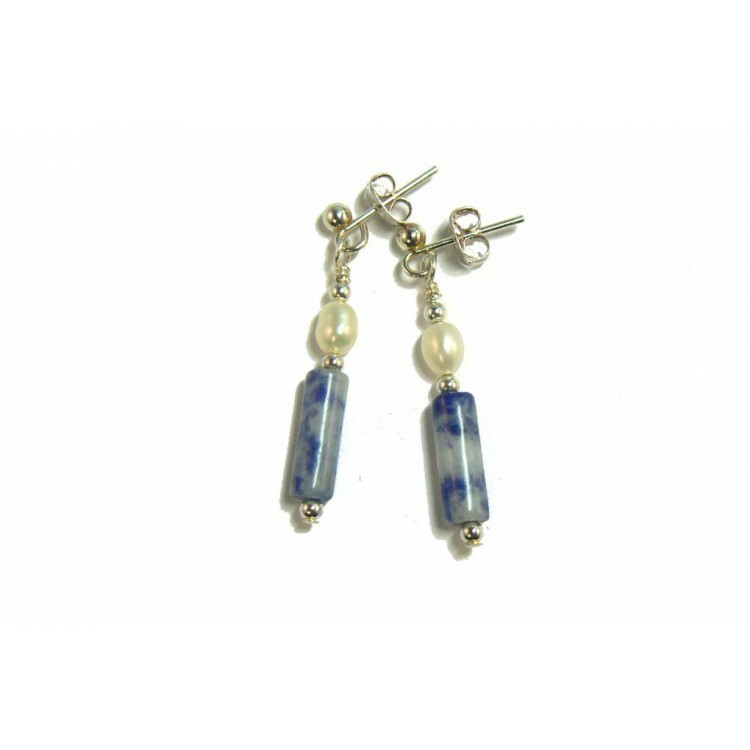 Sleek but distinctive sodalite tubes and rice shaped freshwater pearls. I have been delicately designed these earrings to be worn with navy, denim and air-force blue. An ideal gift for someone special. 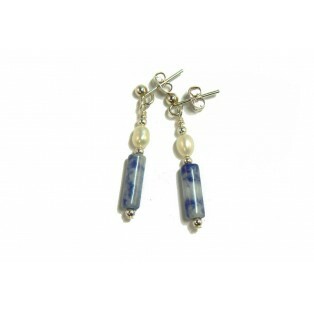 The space blue sodalite with distinctive specks of white calcite, have been blended with the white rice shaped freshwater pearls to make these delicate and gorgeous earrings. I have added tiny silver plated spacer beads which enhance the fabulous quality of the beads. Fitted to silver plated "nickel free" earring posts and scrolls to comply with EU directives.